We couldn’t keep everything from “Mum’s” house. Jen’s mother amassed a huge amount of possessions over the years. We had to choose what to keep and what to leave behind. Like most people, she had a lot of old worthless albums and CDs. She also had a couple good ones, some of which baffled me. I know I gave her the Rush CD, but I don’t know where some of these others came from! Many are still sealed with price tags affixed. I know I’m bad for that too. I have many CDs that have been here for years, still sealed. My collection is several thousand albums deep now. There is a lot of stuff I just haven’t gotten around to hearing yet. I guess “Mum” was the same. I never really saw her listening to music at home although I know she loved certain artists and songs. I don’t think she even had a working CD player anymore. Jen says they mostly listened to music in the car. Because she was so supportive, she owned two CDs by my sister Kathryn. Her solo album Open is ironically still sealed. Mum would have bought that at the CD release show, back in 2010 at the Button Factory in Waterloo. (I was supposed to perform our song “Evil Kirk” that night but I was suffering from a throat infection so it was impossible for me to do.) Mum loved watching Kathryn perform even if the music was beyond her. She also had a copy of my sister’s first CD, A Recital of Works for Bass Clarinet. I brought these back home with me. Maybe I’ll do a contest to give them away. Some decent greatest hits discs were found. I think Mum would be glad that we kept some of her jazz classics. 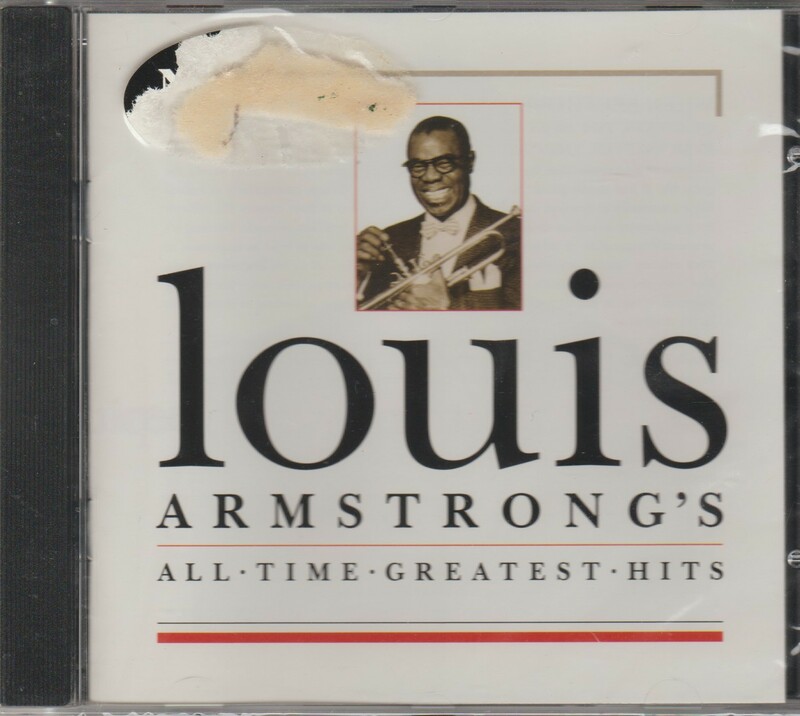 I needed some Louis Armstrong, and now I have All Time Greatest Hits (1994) with 18 songs. She also loved Etta James; she danced with Jen’s dad to “At Last” at our wedding. Etta James was one of her favourites. I’m going to do my best to appreciate her music. Etta James’ Her Best (1997, 20 tracks) is still sealed but I’ll crack it open and give it a shot. The Beach Boys’ Sounds of Summer also looks like a good one. It’s 30 songs and I know virtually all of them. Jen is a huge Beach Boys fan and I think this greatest hits is better than any she had before. We will get lots of play from this, I know. 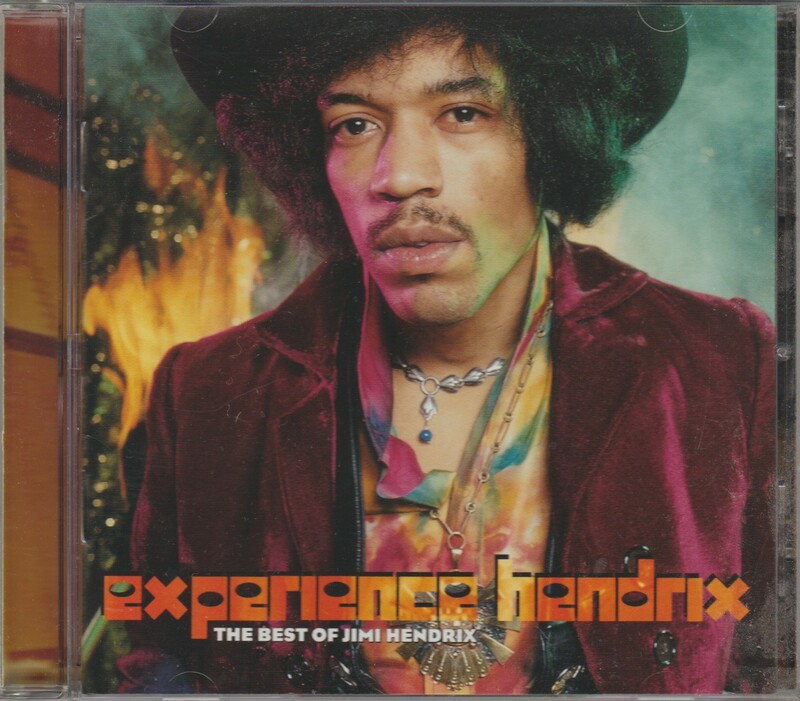 Then there’s Experience Hendrix: The Best of Jimi Hendrix! This one is opened! I never heard her mention Jimi Hendrix, not once. We have no idea what she was doing with Jimi in her collection. I already have lots of Jimi, but this one has a really nice booklet with liner notes. Two sealed Beatles CDs were in the collection. Jen and I are the bigger Beatles fans, but we didn’t own Live at the BBC Volume 1 or 2! These are the 2013 remasters, too. I’ll admit I’ve never liked the first Live at the BBC. It came out during my first Christmas at the Record Store, and it stiffed. We sat on a huge pile of them that we couldn’t sell. Nobody wanted rough live versions of Beatles songs. People wanted the hits, and BBC disappointed many when it appeared under the Christmas tree in 1994. (The same thing happened with Anthology 1 in 1995.) Now we have both BBC sets, so we’ll have to give them another chance. She also had Abbey Road on LP, which isn’t in terrible shape. It’s my favourite Beatles album and it will be cool to hear it on vinyl, the way it was intended. Also among the LPs was a Beach Boys double hits LP called Summer Dreams. I was excited to find one by Gordon Lightfoot called 2 Originals of Gordon Lightfoot. This contains two of his complete albums, Don Quixote and Summer Side of Life. I owned neither until now. Some of the coolest records were the soundtracks. We took Rocky, Chariots of Fire, and The Buddy Holly Story. 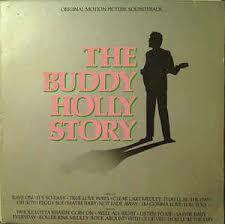 The cool thing about The Buddy Holly Story is that the cast are the actual singers and musicians. So that means it’s Gary Busey singing and playing lead guitar. And he’s great! This is a classic soundtrack that I am glad to finally own. As discussed in a previous chapter, for some reason when Mum was sick, I felt a strong connection to Cat Stevens. Specifically it was the song “If You Want to Sing Out, Sing Out”. When we were watching over her in her last days, that song came into my head and I don’t know why. I felt like she was trying to tell me something. She never wanted either of us to be sad. In my mind, it seemed like Mum was telling me not to be sad. “Well, if you want to sing out, sing out. And if you want to be free, be free. ‘Cause there’s a million things to be, you know that there are.” It seemed like something she would have said. 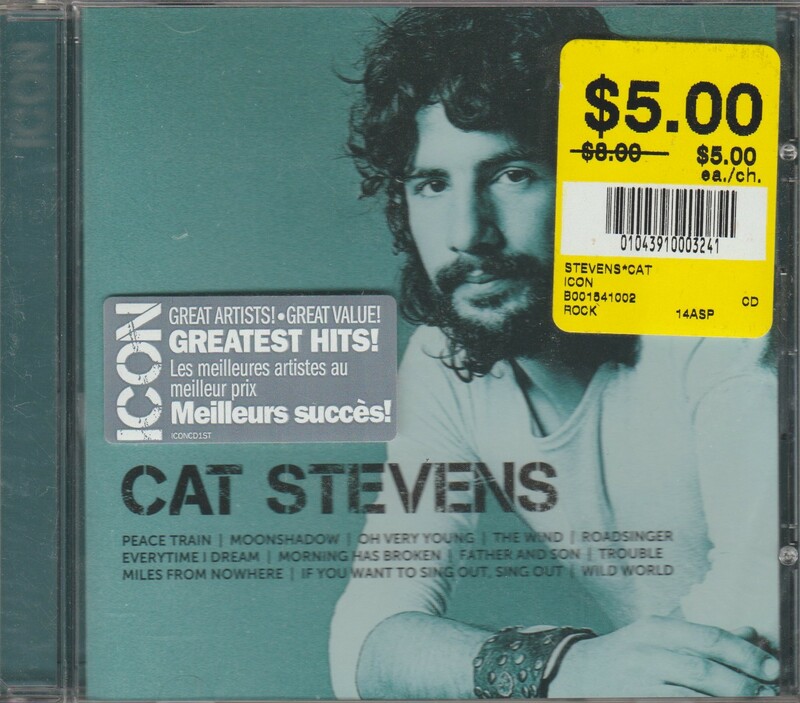 So when she finally passed, and we started going through her things, I found a Cat Stevens CD with that exact song on it. It’s not on the 1975, 1990, or 2000 greatest hits albums. But it is on Icon. There it was, still sealed, and it had the song. How strange, I thought, as a tear went down my face. The world is strange indeed; or as Cat said it’s a “Wild World”. There are coincidences that seem connected even if they are not. The human brain has a knack for finding patterns, and many of us mistake this for deeper meaning. Even though it could be pure chance, I think Mum was speaking to me when that song came into my head. It’s a comforting thought. I’ll take it. When I write these stories about her, I miss her even more. I can’t do it without crying at least once. But it’s important to me that you get to know her a little bit. She was an amazing woman, and this is just a small part of the music that she loved. Nice one Mike! Music has a way of soothing and comforting. It has a way of reminding us of the good times and the bad. Music for me is the soundtrack to our lives as cliched as that is, it is still true. Thanks for sharing Mike – and there’s no substitute for that spectacular side two of abbey road on vinyl! It is amazing what you can learn about a person by what they have kept. Thanks for sharing, Mike. So tough going through that stuff, good on you for being strong and getting it done. That’s a ton of great tunes she had! No content needed, it’s yours man. She’ll be glad it went to someone who legit likes her music! Whaaaaaat! SWEET! Review guaranteed too! *Sniff! Aw man…what a touching tribute to Mum.